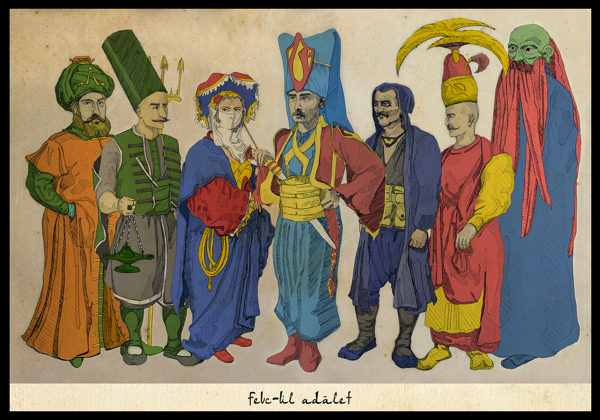 Because who wasn't wondering what the Justice League would like depicted in the Ottoman style of classical art? Berk Senturk satisfies that curiosity. How does aquaman swim in that. hope you join us for the Scare Me Blogfest on Halloween. Wow, thats a brilliant work. How Much Of A Fan Are You? What If Star Wars Starred Mexican Wrestlers? Breaking Ned: I Am The Ding-Dang-Diddly Danger!